Photo challenge: get out your lilacs and lavenders, plums, mulberries, mauves and wines. I just feel like walking up to those girls with a pin! 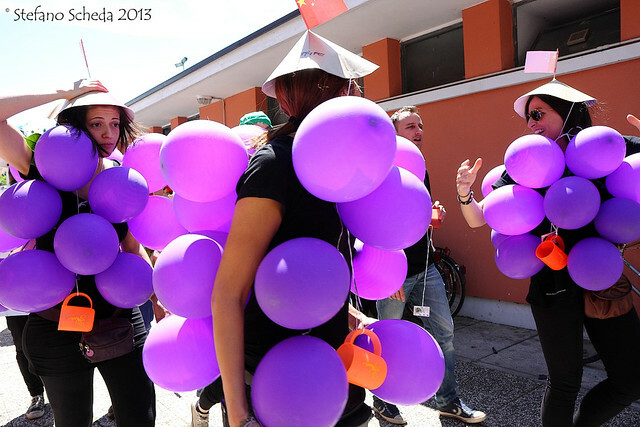 I have a photo much like this of some people dressed as bunches of grapes. I never even though of using it until I saw this one. I’ll bet no one else had a purple shot anything like this! Oh this is so marvellously bizarre. What a shot!